This 4 in 1 kit features a small and medium size reversible flat head bit, a Phillips head bit, and a magnetic port for easy and secure storage of the bits. 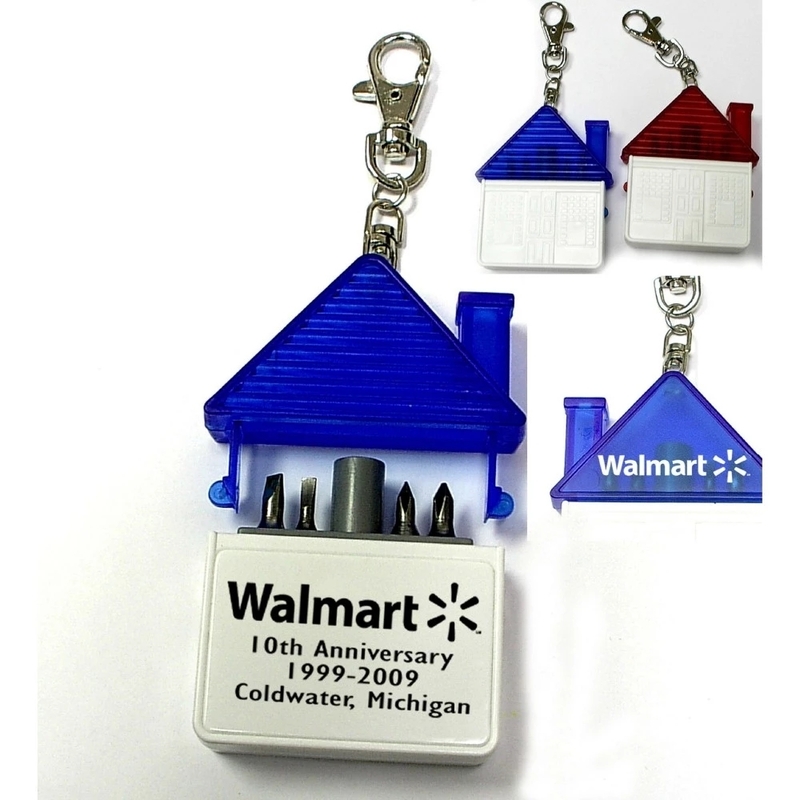 It features a swivel port key chain, a colored translucent top and a white bottom that complements a custom imprint of your brand. 2.36" x 2.84" x 0.67"
Imprint Size: 1.5" x 1"
Package: 250 pcs/ctn, 37.4 lbs/ctn.